Vitamin B12 is quite fascinating. Firstly, it’s colour — ruby red — is catchy and makes you think that this vitamin is magnificent. And second, if you are lacking in B12 and you take its supplement, you will get so much energy that may want to go and run a marathon. It’s that life changing. Thus B12 is often nicknamed as ‘the energy vitamin’ – for obvious reason that it helps your body to use and create energy from the things that you eat. And B12 is hair changing as well. By taking it you may start regrowing your hair. And also get back your original hair colour. So What The Heck is B12? You probably know B complex. B12 is one of the eight B vitamins. It’s role is to keep our bodies healthy, youthful and in tip top condition. Interestingly, vitamin B12 has the lowest daily requirement of all the B vitamins. It is needed in about 1/1000th the amount of some other B vitamins. Despite the smallest requirement, B12 is used by every cell in the body – from your DNA to how happy you feel. And of course, it also helps maintains the hair colour and promotes hair growth. The trouble with B12 deficiency is that it can go unnoticed for several years. The signs and symptoms are subtle and vague, so you don’t have anything specific to pin point. A new hair grows when the hair cells divide and multiply, pushing the hair out and above the skin surface. You can imagine building hair with a Lego, only thing is that you are building from below. When the levels of B12 are low, the hair cells can’t divide as efficiently. This causes the hair growth to slow down a lot or in few cases even stop completely. Also, a lack of B12 affects the overall health, and if you are poorly your hair will not thrive, it will suffer too. The good news is that once Vitamin B 12 levels are restored, hair cells will be able to grow and replicate properly. And your lost hair will come back in a few months time. Our body is all interlinked — one compound goes down, the other goes up. So a balance is imperative. When the B12 levels go down, the levels of homocysteine* go up. Elevated homocysteine is not good for our body as well as our hair. This is because a high level of homocysteine is known to generate hydrogen peroxide – which literally bleaches and the hair from the inside out, turning your hair grey. 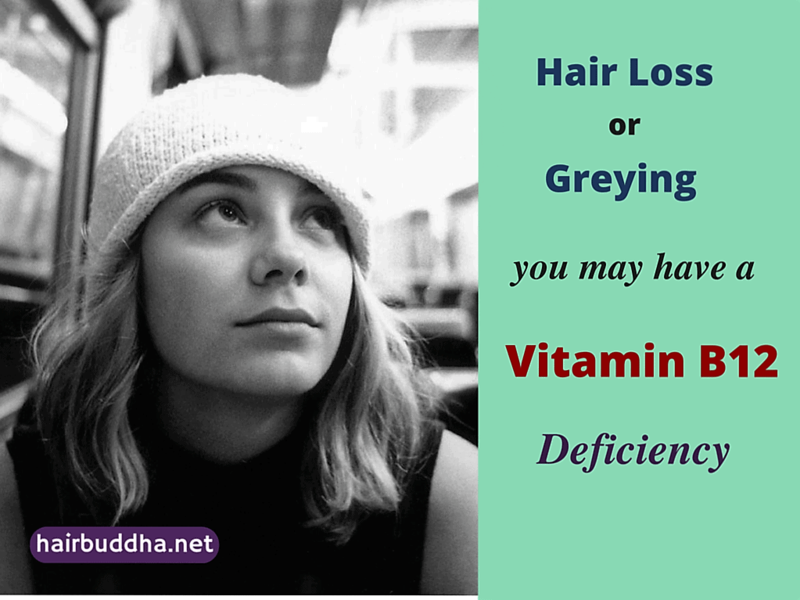 Taking B12 supplements can lower homocysteine levels, and thus cause grey hair to darken and lost hair to return. Plants or animals do not make B12. It’s made by tiny organisms and bacteria that live in the soil. So when grass eating animals (such as goat and sheep) eat grass they then become a source of b12. If animals washed grass before eating they wouldn’t get their supply of B12. Thankfully they don’t. Once upon a time when soil was clean and without pesticide, we humans got our supply of B12 by eating herbs and vegetables that were lightly washed. Those days are gone, so here are other ways you can get B12…. You can get your supply of B12 by eating fish, shellfish (prawns), red meat, poultry and eggs. 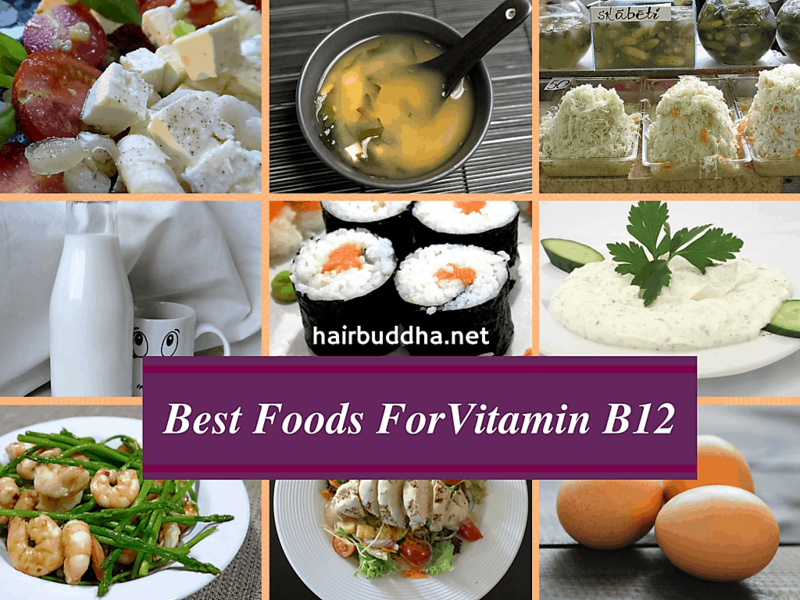 Dairy products – milk, cheese, yoghurt, paneer – are another way to get vitamin B12. I already told you that plants don’t make vitamin B12. But fermented plants may contain vitamin B12, because fermented foods are fermented using bacteria. So eating foods such as pickles, sauerkraut, khimchi, tempeh, idli, dosa may provide you with some amounts of B12. Also you need to make sure that these foods are not pasteurized, as pasteurisation can kill good bacteria. Certain seaweeds and algae such as Chlorella are also considered as a source of B12. Note: From all the research articles I read, plant foods are considered non-reliable source of B12. It is highly debated topic amongst the vegans and needs more studies to prove the point. Obviously, you get B12 deficiency if you don’t eat enough of B12 rich foods. Since B12 is mostly found in animal foods (meat, eggs, dairy and fish) vegans are at high risk for B12 deficiency. Step 2: B12 then combines with a special protein called intrinsic factor (made by cells in the stomach). Step 3: The combined vitamin B12/intrinsic factor is then absorbed into the body further down the gut at the end of the small intestine. How do you know you have a B12 Deficiency? B12 deficiency is much more common than previously believed. Figures from this Framingham study suggest that nearly 40 percent of the United States population may be lacking in vitamin B12. Rates may be much higher in Africa, India, and Central and South America. The signs and symptoms of it’s deficiency are very vague. So if you think you have B12 deficiency, stop guessing just go ahead and get a blood test done. It’s not very expensive and it’s not worth waiting. If you have recently turned vegan/vegetarian there are good chances that you have enough B12 in your body. Unlike other water-soluble vitamins* (C and B vitamins), B12 doesn’t exit our body quickly in urine. It is stored in your liver, kidneys and other body tissues. So, people who completely give up animal products may go for years before showing any signs and symptoms of a B12 deficiency. But if you have given up meat and dairy for years you must get yourself checked. And of course if you have malabsoption, you may want to get tested as well. *Water soluble vitamin: A vitamin that can dissolve in water. Water-soluble vitamins (such as vitamin C and B complex) are carried to the body’s tissues but are not stored in the body. So they must be taken in daily. But vitamin B12 is an exception, and it gets stored for several years. What is a low B12 level? B12 is measured with different units in different countries. And it might confuse people and some may think their levels are low. Plus, the normal range may also vary from country to country. So it’s best to consult your doctor, who will determine whether your levels are low or not. If your vitamin B12 levels are less than this, you clearly lack in B12. 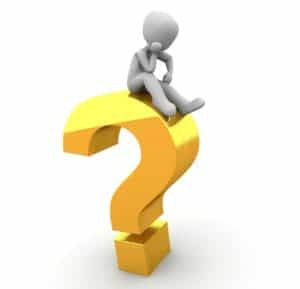 B12 Supplements: What is Good? With all the problems that low B12 can bring, the treatment is pretty simple. You just take B12 supplement and you will feel immediate improvement in your moods and overall energy. Hair loss or graying will take a few months to reverse. And so will brain and nerve function. Your doctor will decide the treatment option depending on things like your age, the diet you follow, and your medical condition. Make sure methylcobalamin and Not cyanocobalamin is the active ingredient. Methylcobalamin is more readily absorbed and superior to other forms of B12. Sublingual lozenges (that dissolves under the tongue), are thought to be better absorbed than conventional oral route. You can also get B12 in spray form. You spray on your mouth where it directly enters the blood stream. 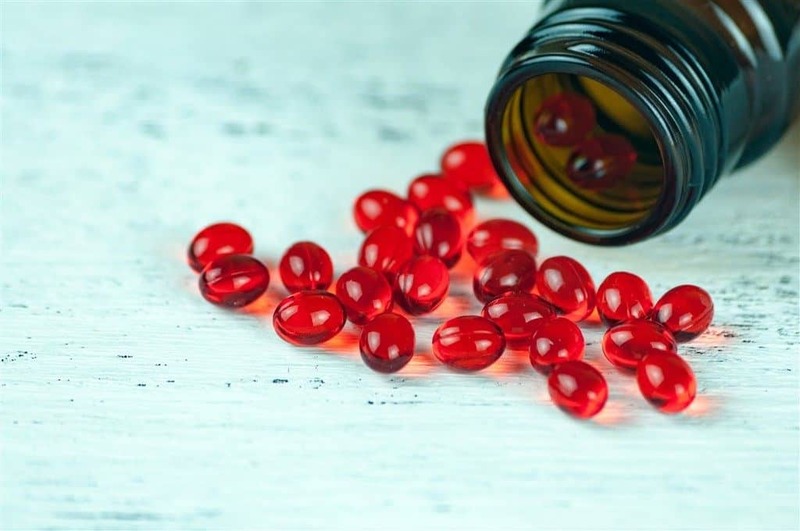 B12 is important for many life process such as making of red blood cells, DNA replication, digestion, mood regulation, brain health and hair health too. It’s mainly found in animal foods, so if you are a vegan or vegetarian consider getting yourself checked. The good news is once the B12 levels are corrected you will see an immediate improvement in your energy and moods. Brain and nerve function will take some time to improve. And your hair too will take few months to recover. Many people taking B12 supplements have found reversal of greying and hair loss. Do you take vitamin B12? Has it made any difference in your hair/health? Please share your experiences below! Ting RZ, Szeto CC, Chan MH, Ma KK, Chow KM. Risk Factors of Vitamin B12 Deficiency in Patients Receiving Metformin. Archives of Internal Medicine. 2006;166(18):1975-1979. Wood JM , Decker H, Hartmann H, Chavan B, Rokos H, et al. Senile hair graying: H2O2-mediated oxidative stress affects human hair colour by blunting methionine sulfoxide repair. The FASEB Journal. 2009; 23(7): 2065-2075. Dali-Youcef N, Andrès E. An update on cobalamin deficiency in adult. QJM. 2009; 102 (1): 17-28. Kwak CS, Lee MS, Lee HJ, Whang JY, Park SC. Dietary source of vitamin B12intake and vitamin B12 status in female elderly Koreans aged 85 and older living in rural area. Nutrition Research and Practice. 2010;4(3):229-234. National Institutes of Health. Vitamin B12. NIH Fact Sheet. As a vegetarian for over 25 years, I have been taking a B12 supplement for many years. I am now 70 and have very few grey hairs and have always wondered how I was so lucky. Now I know why! Thanks for educating me. Hi. I just wanted to let you know that a great vegan source that has a high content of B12 is nutritional yeast. It also contains other b vitamins as well. After this nightmare winter, I thought it was stress, because became whiter and started falling out. I am going to make every effort to change this, starting today. Thanks!